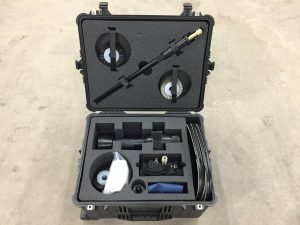 Here is our 105mm Bore Brush Cleaning System. 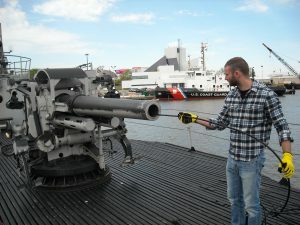 Ryan using the cleaning system on the U.S.S. Cod. 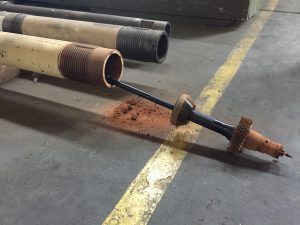 Large caliber kit used to clean an old rusty barrel.